Although the 3G and 4G network coverage increased in the last years, there is often the situation where the 3G/4G coverage is quite bad and you have a real weak connection, a slow bandwith or your 3G/4G connection interrupts. We offer high quality 3G/4G equipment to solve these issues. We offer 3G dongle with external antenna connector, 3G routes, coaxial adapter antenna cables and high gain 3G and 4G antennas. If you have any question please do not hesitate to contact our team. Ethernet, Fast Ethernet, Gigabit Ethernet,fiber networks are classic cable networks. The advantages of wired networks are stability, security, range and transmission rate. The acquisition costs are comparatively low. The major disadvantage of cable networks is of course the installation effort if there is no existing wiring and the lack of mobility of the connected to the cable network components. The Ubiquiti LBE-M5-23 is the latest evolution of a lightweight and compact, outdoor wireless broadband CPE (Customer Premises Equipment) from Ubiquiti Networks. The LBE-M5-23 was designed to be an affordable cost/performance solution for long-distance, wireless broadband bridging. 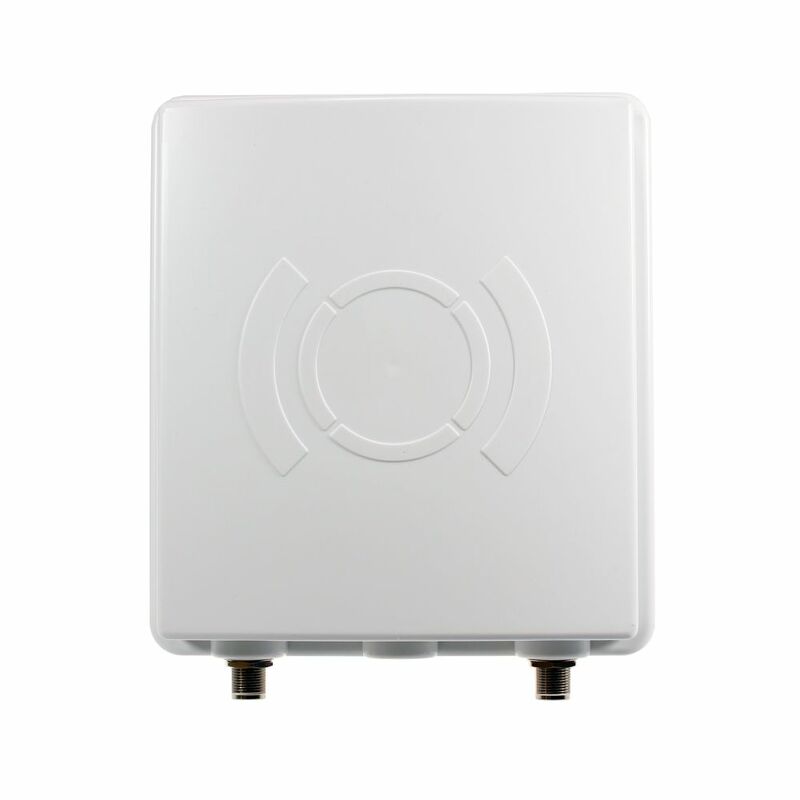 It operates in the worldwide, license free 5 GHz frequency range and features high performance of up to 100+ Mbps in real outdoor throughput and an incredible range of up to 30+ km. The LBE-M5-23 combines proprietary hardware and software technologies to deliver its breakthrough combination of throughput and range with cost-effective value. Its InnerFeed technology integrates the entire radio system into the feedhorn of the antenna, and our revolutionary airMAX TDMA protocol enhances network performance and scalability. The LBE-M5-23 also features a unique ball joint mounting system that provides 3-axis adjustment flexibility for versatile mounting options. The mounting system, coupled with the built-in bubble level, enables quick and easy alignment. The all-new mechanical design makes assembling and disassembling the LBE-M5-23 ? literally ? a snap. No tools are required. Unlike standard Wi-Fi protocol, the exclusive Ubiquiti Networks airMAX Time Division Multiple Access (TDMA) protocol allows each client to send and receive data using pre-designated time slots managed by an intelligent AP controller. This "time slot" method eliminates hidden node collisions and maximizes airtime efficiency. Compared to other systems in its class, the LBE-M5-23 delivers superior performance in reduced latency, throughput, and scalability. Intelligent QoS: Priority is given to voice/video for seamless access. Scalability: High capacity and scalability. Long Distance: Capable of high-speed, 30+ km links. ESD/EMP Protection: 24KV radio frequency and ethernet electrostatic discharge (ESD) protection.